What Is the Festival–‘in a nutshell'? 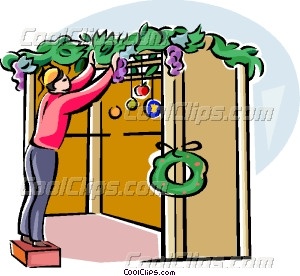 The Feast of "Sukkot" (its Hebrew name) is a 7 day Scriptural designated Festival (Ex. 23, Lev. 23 and Deut.16) of Celebration--followed by an"8th Day" Sabbath appointment that is a separate day of worship and not part of the Festival. ﻿The Festival is commonly called (incorrectly) Tabernacles and also the Feast of Booths and The Feast of Ingathering. It is one of the pilgrimage festivals to Jerusalem that God gave to the nation of Israel in the Bible, and one in which ‘grafted-in’ Gentiles also participate as new Israelites--not as second-class citizens. It was also a time when the Israelites (Hebrews) would bring their tithes, offerings, and firstlings to the Temple in Jerusalem and rejoice before their Father in dance, song, worship, instruction, and eating the fruits of the late summer and fall harvest. In contemporary terms it is a time of celebration, rejoicing, relaxing, eating the better foods (‘feasting’) that life has to offer, and, yet, a time also devoted to spiritual rejuvenation and edification. Many Americans notice the similarity between the Festival and Thanksgiving. The pilgrims, who originated the Thanksgiving holiday, were deeply religious people. 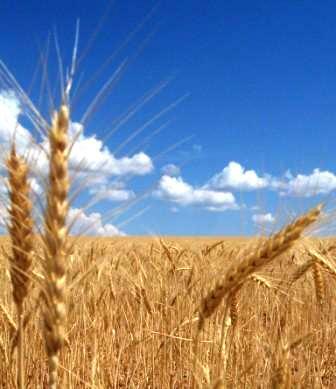 It is very possible that the Bible (Leviticus 23:39) provided them the inspiration for giving thanks for their survival and celebrating their harvest. The Festival of Tabernacles is held in the fall of each year and is a joyous and meaningful 8-day Judeo-Christian / Israelite / Hebrew Festival for believers in our Savior Jesus Christ / Yeshua [Yahushua] Ha'Mashiach and in Our Father–the God of Abraham, Isaac, and Jacob. It is not a “Jewish” Festival. God calls it His ("my") "festival" (Lev 23:2,4) to distinguish it from any man-made festival that is so initiated to honor Him. By calling it "My festival", one may, by inference, state that God also rejoices at this time of year together with His people! This is why we call it "Our Father's Festival". The marriage of the Lamb with his bride (Rev 19:7), the wedding chamber (chuppah) where the marriage is consummated (Song 3:11 ; Isa. 61:10; Ezek. 16:12 ), and their rulership in the Kingdom (Rev 5:10). The 7000 year Millennium–and its many meanings: the "2nd Coming" and reign of Christ over all nations, believers serving as kings and priests to teach the world, Satan’s reign ending, and more (Rev. 20:4). Likewise, the Festival serves as a multi-classroom learning experience for us to grow in grace and knowledge to better prepare ourselves to assist and teach others. It's much more that just an annual convention or conference. 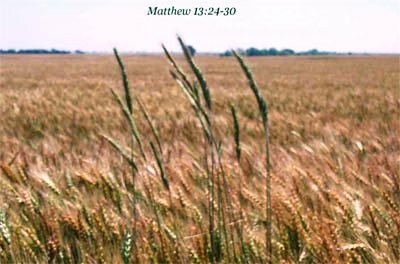 The meaningful roles Tabernacles (together with Atonement and Trumpets) and the Fall harvest play in the Father’s ‘Master Plan of Salvation’ as the second coming of Jesus / Yeshua. (Yeshua means salvation in Hebrew). The Spring Festivals represent His first coming and the Fall Festival represents His second coming (Hosea 6:1-3). The temporary existence and frailty of our physical bodies likened to a sukkah (temporary shelter / tabernacle) and the looking forward to our new spiritual bodies. (II Cor. 5:1-5; II Pet.1:13-14; Cor. 15:44). Jesus 'dwelt' ('tabernacled') with us (John 1:14) and represented the heavenly 'tabernacle' (Heb 9:11). The temporary part of our physical lives in the wilderness of life when we leave spiritual Egypt on our way into the Promised Land of the Kingdom of God (e.g. Heb 3 & 4). The birth of Jesus Christ in the fall festival season has been stated by many (Luke1:5 and I Chron. 24:1 &10--Do the simple math / analysis to determine what Hebraic month the courses were assigned). Please NOTE: Evidence also points to Christ being born at Passover; however, Sukkot and the 7th month is taught by more. 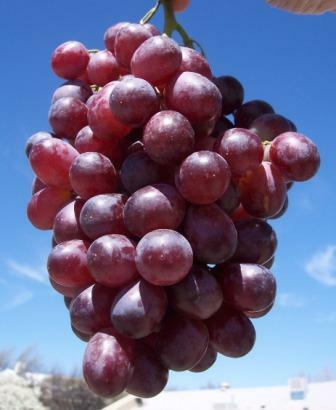 The 3 main fruits of the 3 Festivals may have more significance than the commonly understood Bread & Wine. The festivals were ordained at creation (Gen. 1:14--seasons=moedim in Hebrew), are to be observed forever (Lev 23:14), are a prophetic picture of things to come (Col 2:16-17; Heb 10:1) which point to Jesus / Yeshua (foreordained from the foundation of the world--I Pet. 1:20), will be observed in the millenium (Zech 14:16), and are to be observed until heaven and earth pass away (Matt 5:17-18). Today, there is no temple in Jerusalem. In a much greater fulfillment, however, Hebrew Roots, Christians, Messianics, and other believers have now become the spiritual temple in which the Holy Spirit / Ruach Ha’Kodesh dwells. Until the time Christ returns to Jerusalem, the location and observance of the Festival now becomes the responsibility of the individual Holy Spirit begotten believer to determine where the Father shall place His Name. (Note also Revelation 22:4 where the name is placed). There is no Levitical priesthood to direct the believer. There is only Our Father (YHVH) and our sole mediator and High Priest Jesus Christ / Yeshua Ha'Mashiach of the Mechizedek priesthood! Seek him. He wishes you to have a rejoiceful relationship with Him and your physical and spiritual family. As the knowledge of this Scriptural Festival of Tabernacles grows nationwide, it is the tradition of many to congregate, fellowship, learn, and rejoice with likeminded believers in celebration of this ancient, yet contemporary, Festival at a common location. Our Father’s Festival offers one such common location. We use both the names of "Tabernacles" and "Sukkot" at Our Father's Festival. Althought frequently translated "Feast (or Festival) of Tabernacles"; the Scriptural word "tabernacle" refers to the portable Sanctuary in the desert– the forerunner to the Temple. Sukkah refers to the temporary booths that people lived in–not the Tabernacle.The Hebrew word ‘sukkah’ (Strong’s #H5521; plural: "sukkot") means “tabernacle, booth, pavilion, cottage, tent, a rude or temporary shelter.” Believers are instructed to dwell in temporary dwellings (Lev 23). One will notice variations in how this is observed. Many Messianics accentuate camping out along with construction and dwelling within the sukkah. The sukkah may be also be ceremonial with one spending only some time within it to contemplate, meditate, and of course….celebrate in the grandest festival of all! Other Messianics and those of a Church of God background accentuate the ‘temporary’ aspect as meaning a motel room, cabin, or RV. The building of a sukkah represents an activity the entire family may enjoy and learn from its spiritual meanings–much, much more than a non-scriptural Christmas tree and its related decorations. 2. To rejoice before Our Father for 7 days (Deut 16:13-14; Lev 23:40). Please note: Due to work demands or finances, some cannot keep all 7 days or travel to a specific feast site location where brethren are gathering. There is no command to travel to a specific location. There is no temple in Jerusalem. Remember: believers are the living temples (see above) today. For these people, they may keep only the high festival day, the intervening Sabbath, and the Eightth Day (see below) at home and be free to labor the other days. There is neither a Scriptural command to cease work on the other festival days. On the other hand, people arrange vacations during the year instead of wishing to fellowship with like-minded believers for the 7 days of Sukkot. The point is one has to gauge his priorities in life. Seek ye first the kingdom of God (Matt 6:33). 3. 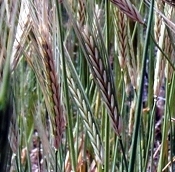 To gather 4 plant species (Lev 23:40). One does not have to order citrons and palm branches, etc. Gather 4 similar species from your own area! 4. 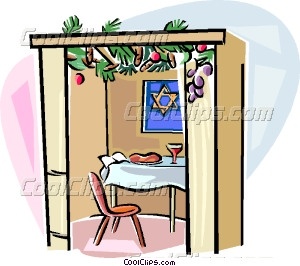 To dwell in a booth (‘sukkah’) (Lev 23:42). It does not say how long one must dewll in a booth. One may pray, medititate, eat or read as long as they desire to fulfill this commandments. Booths have also been interpreted by some to be a tent or a motel room. Building a sukka, whether full size or a model lends to the meaning of the day. Consider it a viable and Scriptural substitute in leiu of Xmas trees for you kids to enjoy and build memories! Want to do it the easy way? Purchase a metal shade structure and decorate the top of it with branches instead of installing the canopy. Have an outdoor bench swing with four posts? Decorate the top of it with branches! 5. To cease from our business labors on the first day of the festival (Lev 23:35). 6. To meet together for worship and fellowship (Lev 23:35). 7. To read the Torah every 7th year at the Festival (Deut.31:10-13). Selah: Consider: it was only once every 7 years for a people that did not have a copy to read at home. What does this mean? A. During the 7 days of the feast of Tabernacles, the priests were to sacrifice 70 bullocks (Num. 29:12-32) starting with 13 (rebelllion) bullocks sacrificed on the 1st day decreasing to 7 (perfect completion) on the last day. Only 1 bullock was to be sacrificed on the 8th day. B. Genesis 10 records the beginnings of 70 nations descended from Noah. D. As seven represents the day of completion, then eight, which follows seven, means "over and above perfect completion," or "the first of a new series." (Number in Scripture, by E. W. Bullinger, p.196). E. The Hebrew word for eight is shemoneh. This word taken from the root shaman means to nourish to fullness and is dominantly translated as oil--particularly the anointing oil. F. The priesthood was sanctified in 7 days and presented to God on the 8th day when they began their ministry (Lev. 8:33 & 9:1). The Creator also revealed His Glory on the 8th day Lev 9:23-24). Yesterday, the priesthood was of Levi. Today, it is of Melchizedek. Revelation 20:6 reveals that the overcomers will be priests of God. G. The first-born given to God on the 8th day (Ex. 22:29-30). H. The 8th day signified a 'renewed' beginning. 1) This can also be seen in the musical scale. There are 7 whole notes in music. The 8th note begins a higher octave of the same 7 notes. 2) Circumcision to be performed on the 8th day (Genesis 17:12; Luke 2:21). It is a heart issue, today, just as it is a physical ritual. 3) King David was the 8th son of Jesse (I Sam.16:10-11; II Sam.17:12). 4) There were 8 in the Ark (I Per 3:20) of which Noah was the eighth (II Peter 2:5), and of which a"new beginning" began on Planet Earth the day the ark rested on the mountain as a type of our "new beginning" in Christ/Yeshua--- on the 17th of Nisan, the 7th month of the old calendar---the day Yeshua was resurrected. 5) The Millennial Temple has 8 steps to the Inner Court (Ezk. 40:31, 34, 37) and 7 steps into the Outer Court (Ezk. 40:22 and 26). 6) The Hebrew word Gizrah (the Western building of the Millennial Temple) is used 8 times in the Bible: 7 in reference to the Temple in Ezekiel chapter 41 and 42, and once (1) in reference to the polishing of a godly sect in Lamentations 4:7 and their eventual reconciliation in Lam 4:22. 7) A new heaven and earth (Isa 65:17,22; Rev.21:1) after the millennium and the completion of 7000 years. 8) "Although an ex-leper was pronounced clean on the first day of his cleansing, he was again pronounced clean on the eighth day (Leviticus 14:11). Was the leper not cleansed the first day? This gets into the prophetic side of the law. Prophecy involves timing when it is fulfilled historically. The personal applications are more immediate, but the historic fulfillment requires time. Cleansing requires a full seven days, not only for lepers but also for those who touch a dead body (Numbers.19:11). That law, too, prophesies of mankind’s time of mortality. Prophetically speaking, this seven-day period suggests a 7,000 year cycle of history leading to the Great White Throne judgment at the beginning of the eighth “day.” The general resurrection of “the dead, the great and the small” ends death itself, for at that point even death is cast into the lake of fire (Revelation 20:14). At the Great White Throne, at the beginning of the eighth “day,” every knee will bow, and every tongue will confess Him as Lord to the glory of God the Father (Philippians 2:10, 11)." - Stephen Jones. 9) Human life begins on the 8th day according to John Merritt.2010. When Does Life Begin. Gen 9:4 But flesh with the life thereof, which is the blood thereof, shall ye not eat. 10) Moses made eight recorded trips up the mountain. May you be blessed to have eyes to see and ears to hear in understanding the wonderful types and foreshadows of the 8th Day! We can all describe the various cultural and personality traits of different nationalities, from American, English, French, German, Italian, and Jewish to dozens more. Some are more reserved, some more hugging and touching, some more talkative. Add to this mix the 4 different types of personality characteristics we humans have! Some do not express much emotion in church; on the other hand, many are familiar with the more emotional worship services of certain Christian churches and groups. A “Hebrew Roots” and Messianic worship service varies from certain ‘Protestant’ type services. People do not read written prayers, are generally seen taking notes, and using their Bibles to follow the sermon. The service differs from traditional Church of God services by being more expressive in nature though group dancing and more congregational singing. For example, hand clapping during singing as a matter of exuberant rejoicing may be done as part of the worship service when people are so moved. Group dancing may also take place. Music is sometimes reflective of our generational differences and for some to to think their style is better and/or more Godly than others. This reasoning can be seen in the younger versus old generations of popular secular music. We strive for a balanced selection of music which reveals our common Scriptural beliefs in the words we sing. Our music represents contemporary, traditional, Messianic, Church of God, and "Christian" styles. Although many recognise the value of Hebrew words in singing, its use is not a "sign" of being more spiritual; neither is the use of Latin rather than English make one more spiritual. The more mature among us recognise the variety in which our Creator operates--rather than the homogeniaty of one style better than others. Festival Services will begin with the blowing of the shofar(s), (Num 10:10; Ps 81:3), introduction and short announcements, opening prayer, 20-30 minutes of singing with some choosing to group dance, followed by the Main Presentation/Sermon assisted by PowerPoint (60 minutes), and a Question and Answer Session (15 minutes). No altar calls are made during services. If one is so moved to make a donation / offering to a specific speaker’s ministry for serving and feeding us the Word or for the operations of the Festival or to provide festival assistance to aid those to attend, there will be a “My Festival Gift” donation box located in the Dome before and after Services. Donations to a particular ministry should be in check form and made out to that ministry. We do encourage you to be mindful of the needs of the individual ministries which have elected to join us and teach us, and to not appear empty before God / YHVH. Interactive Services. Our services differ from traditional types by being interactive. Interactive services allows questions by the audience on a speaker’s statements for clarity and additional information. Due to the large number of people attending a Congregation Service, we reserve the Question and Answer period for the end of the speaker’s presentation. Break-Out sessions are not worship services, and will differ due to the smaller number of people attending. The speaker is given the option of being able to speak uninterrupted and then offer a Q&A period at the end, or he may wish to encourage questions throughout his presentation. Group Dancing (sometimes called Davidic Dancing) occurs at the Festival with men and women of all ages participating. Hebraic group dance instruction will be held for all during the Festival. Men are especially encouraged to learn the joy of Hebraic dance. In Jesus’ / Yeshua’s time, dance was a part of worship. “Davidic (Messianic) Dance is a physical expression of praise, thanksgiving and joy to Elohim (God). The Hebrew word for dance is rikud which means to skip or leap for joy. Some of the dances are patterned after traditional Israeli folkdances...They vary from very simple, repetitive steps to more complex. They are meant to be danced as a group without any emphasis on one dancer. The tone of the dances range from reverentially devotional to exuberantly joyful. Dancers include men, women, teenagers and young children”.